To be located near the Queen Street East and Greenwood area on 45 Connaught Avenue, Loft 45 by Berkshire Axis Development is promising to be chock full of features, stunning design and amenities. 9 foot ceilings, floor to ceiling windows, sliding doors which open to either a balcony or terrace, and designer kitchen cabinetry are a few to name. 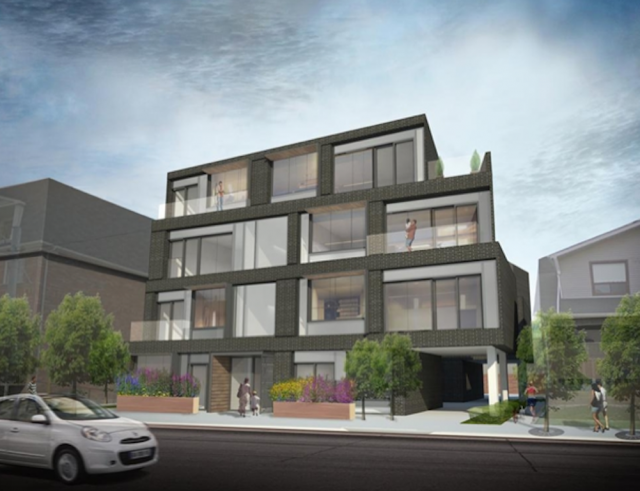 The 4 storey, 18 unit structure will have lofts that range from 382 to 874 square feet, are available in studio, one and two bedroom plus den and start $219,990.